A member of the International League (Triple-A), the Lehigh Valley IronPigs will play a 144-game schedule (72 home games) that begins in early April and extends through mid-September at Coca-Cola Park. Service Electric is proud to broadcast all home games LIVE on TV2! 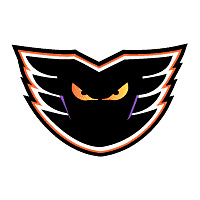 The Phantoms are the American Hockey League (AHL) affiliate of the NHL Philadelphia Flyers. They were established in 1996, playing their first 13 seasons in the Spectrum in Philadelphia, and currently reside in Glens Falls, NY, until their arena in Allentown, Pa., is completed for the 2014-15 season. The Phantoms have won two Calder Cup Championships and have developed many players who have gone on to play in the NHL. Several of the more notable players to play with the Phantoms are: Claude Giroux, Danny Briere, Mike Richards, Jeff Carter, Sean Couturier, R.J. Umberger, Matt Read, Brayden Schenn, James Van Riemsdyk, Michael Leighton, Zac Rinaldo, Patrick Sharp, Vinny Prospal, and Ruslan Fedotenko. 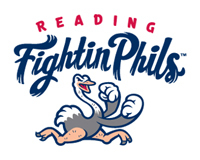 The Fightin Phils have been the class-AA affiliate of the Philadelphia Phillies since 1967. The 46-year relationship is the longest in all of Minor League Baseball and has produced big league stars like Mike Schmidt, Greg Luzinski, Ryne Sandberg, Pat Burrell, Jimmy Rollins, Ryan Howard Carlos Ruiz and Cole Hamels. Service Electric is proud to broadcast all home games LIVE on TV2! In 1984, nearly 182,000 people attended a small, grass-roots music festival in Bethlehem, Pa. featuring 118 performers and 295 performances on six stages. At the time, no one knew how large the event would grow or how long it would last. Amazingly, more than two decades have passed since that first Musikfest. And from those humble beginnings, the event has blossomed into a 10-day musical spectacular that attracts more than one million people from throughout the country. The festival, which showcases nearly every musical style imaginable, features more than 300 performers from across the country and around the globe, musical programming at 14 different indoor and outdoor stages (10 of the stages are free), 10 great nights of headline entertainment, mouth-watering foods, plenty of children's fun and activities and a spectacular closing-night fireworks display. Service Electric is proud to broadcast various shows and events LIVE from Musikfest! The Greatest Show on Turf returns to the Lehigh Valley! 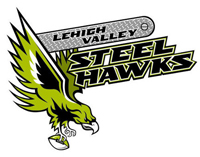 The Lehigh Valley Steelhawks, founded in 2010 are a professional indoor football team that plays in the Professional Indoor Football League (PIFL). The season runs from February all the way through June. We hope to see you at the Stabler Arena to cheer on your hometown team this season, as they strive to bring the Champions Cup to the Valley. Service Electric is proud to broadcast all home games LIVE on TV2! Conceptualized and executed by Vision Entertainment Group, The Sands Bethlehem Event Center will revitalize the Bethlehem Steel property in yet another fashion: Entertainment. The luxury entertainment venue, will reinvent the live entertainment concept by offering A-list artist performances, comedians, internationally-recognized DJ’s, boxing, MMA, trade shows, conferences, speaking engagements, and private functions. The 50,000 square foot venue boasts more than just size and luxury. The view is unbeatable. At 137 feet at the furthest point, there is no such thing as a bad seat in the house. The Event Center also features a private-mezzanine level that overlooks the Vision Bar. Also housed on this mezzanine level, is 7 private, luxury suites. Sponsored suites are your ticket to hosting an event not soon to be forgotten by your guests. Suites feature VIP bottle service or a personalized wet bar. Also in these suites are flat screen televisions, high-top seating, and fixed seating on a balcony whose view truly takes your breath away. Service Electric is proud to provide large, projector screen viewing at all Sands Event Center shows.